You have used your Mac to videoconference before, but now you cannot find your camera in your video settings. 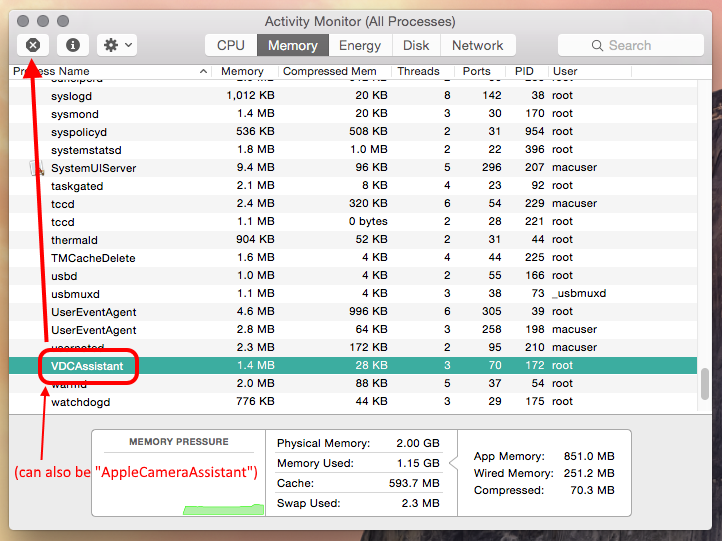 Each time you use a program that uses your webcam, your computer launches a background process (called VDCAssistant or AppleCameraAssistant), to manage the connection and control of the camera. The process should quit when you quit the program, but every now and then, it needs a little nudge. Before starting these instructions, please end your current session, and quit any program that might also be accessing your camera.